With the LapVR, learners are immersed in the most realistic skills training environment available. 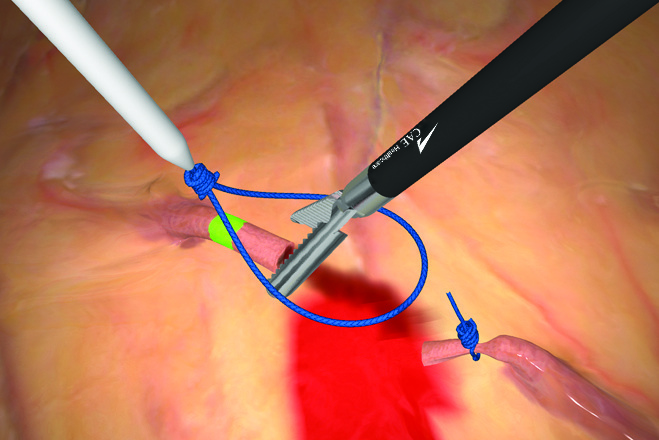 LapVR gives learners the opportunity to develop proficiency in techniques such as suturing, knot tying and loop ligation as well as some frequently performed laparoscopic surgeries like gall bladder removal and tubal occlusion for risk-free learning before they touch their first patient. 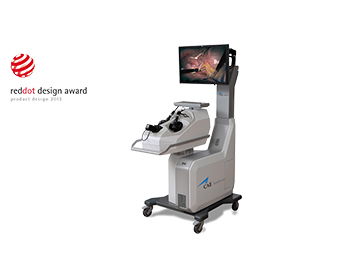 The superior force feedback provides accurate tactile, visual and audio responses to mimic the feel of real procedures. 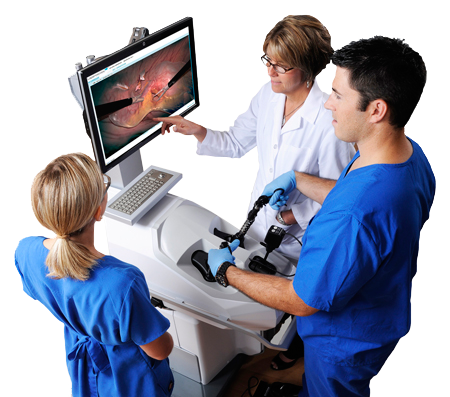 LapVR features an advanced modular curriculum derived from actual patient data. Unlike other simulators, LapVR permits the upload of supplemental multimedia content to enrich the learner’s experience. The simulator supports setup for individuals or groups, and easy course planning. 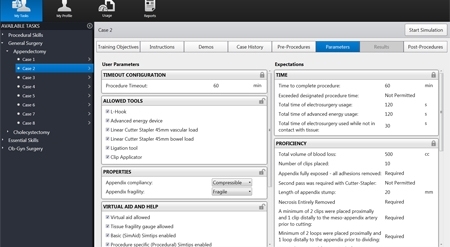 Administrators may easily customize case parameters to match each learner’s performance level. At the conclusion of each case, learners are debriefed with evidence-based metrics and outcome measurements. The recorded metrics and post-case debriefing provide analytical feedback for continuous trainee development. 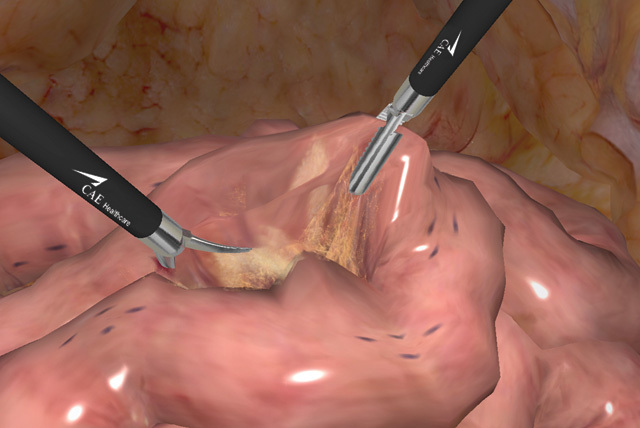 The LapVR takes learners through three comprehensive modules that begin with a hands-on introduction to basic laparoscopic techniques. 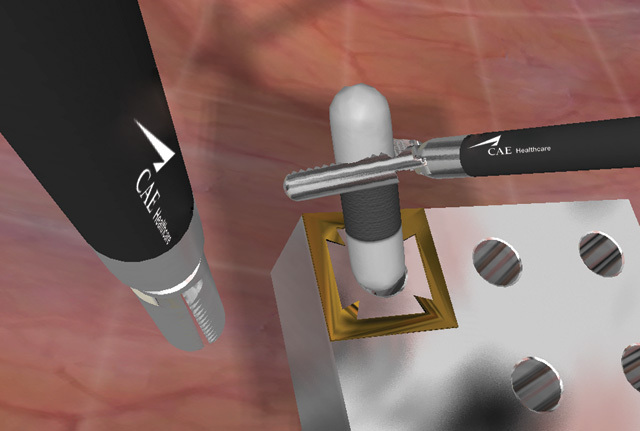 The essential skills modules help learners develop visual-spatial dexterity with both dominant and non-dominant hands, similar to the Fundamentals of Laparoscopic Surgery Program (FLS) developed by SAGES. 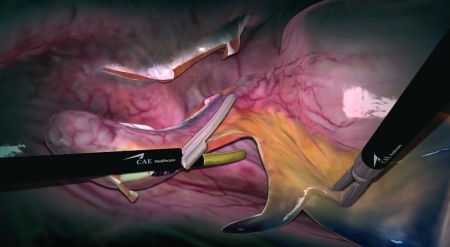 Learners may build upon their essential skills training with more complex procedures and surgeries, including the laparoscopic cholescystectomy and bilateral tubal occlusion. * The SAGES/ACS FLS Program does not endorse this product or company. This product has not been shown to be equivalent to FLS training. In order to earn the FLS certificate, one must pass the entire FLS exam, including the assessment component administered exclusively on the FLS manual skills trainer box and administered by an approved FLS proctor. Redesigned in 2012 for better performance, the new LapVR is easier to configure, requires fewer clicks throughout and saves time for instructors. The streamlined modern design delivers an enriched end-user experience. With a brand-new user interface, learners can interact with cutting-edge graphics while instructors enjoy enhanced ease-of-use.